"We hope to see you real soon......."
Sanur's splendid paved beachfront cycle-pathway stretches some 5 kilometers from the Mertasari area in Southern Sanur, north to the main beach at Jalan Hang Tuah. This makes for a lovely scenic bike ride, especially in the cool of the early morning. The village name Sanur originates from two words, "Saha" and "Nuhur" which rally means the passion to visit a certain place. Located in the southern part of Bali, Sanur is famed for its beautiful strip of sandy beaches its' spectacular sunrises which rally marks a new day in the life of the Balinese. A laid back atmosphere is what is so unique about the village of Sanur where hospitality is intertwined with the traditions of Balinese culture and religion. The atmosphere from sunrise till sunset provides endless opportunities of discovery into the daily lives of the Balinese, where each corner of the village provides a certain exploration for every visitor. Lines of shady trees along the roads, a beautiful stretch of beachess for sunbathing and swimming, a strip of shops and markets and a variety of restaurants and bars for wining and dining, the option is endless in Sanur. 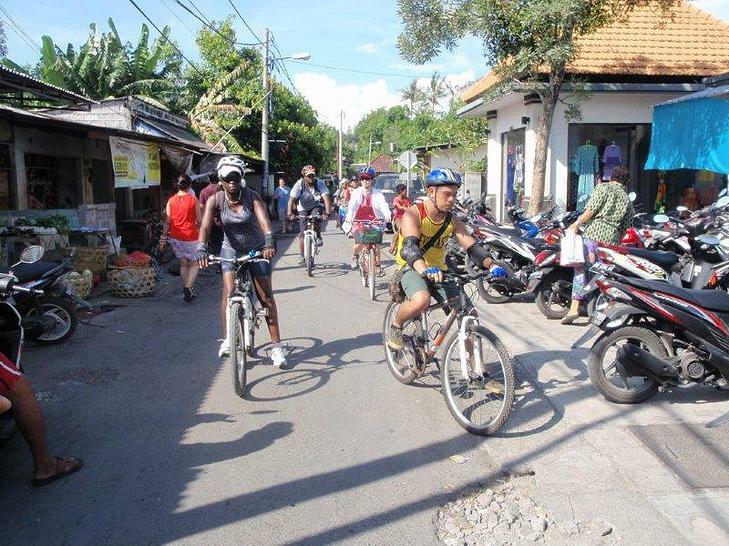 "​Sanur Cycle Tours is a locally owned and operated business based in central Sanur and we would like to show you the real Bali. Join us as we take you on a leisurely ride thru the village of Sanur introducing you to village locals and the Balinese culture."